EXCELLENCE: Hornady has been an industry leader in bullet design and innovation since 1949. “Ten Bullets Through One Hole” was the philosophy adopted by the company's founder, Mr. Joyce Hornady, and continues right through today. Consistent quality, accuracy and performance are, and always will be the hallmarks of all Hornady products. QUALITY CONTROL: We oversee each aspect of production to insure that every bullet meets our stringent quality assurance criteria. With our own high-tech underground test facility, complete with top-of-the-line test equipment, we constantly test everything we make. We're obsessed with providing the best performance from every single bullet we design. 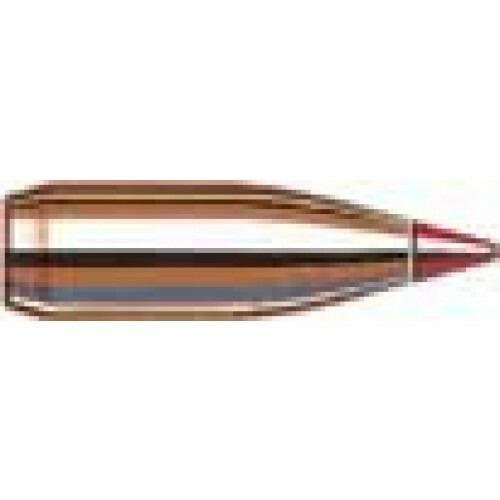 VARIETY: Our impressive product line includes over 300 bullets, ranging from 17 caliber all the way up to the spectacular 50 caliber AMAX bullet for the 50 BMG. We are always working to originate the next technological innovation and we thoroughly enjoy what we do. From prairie dogs to dangerous game, we have the perfect bullet to meet every hunting and shooting need.